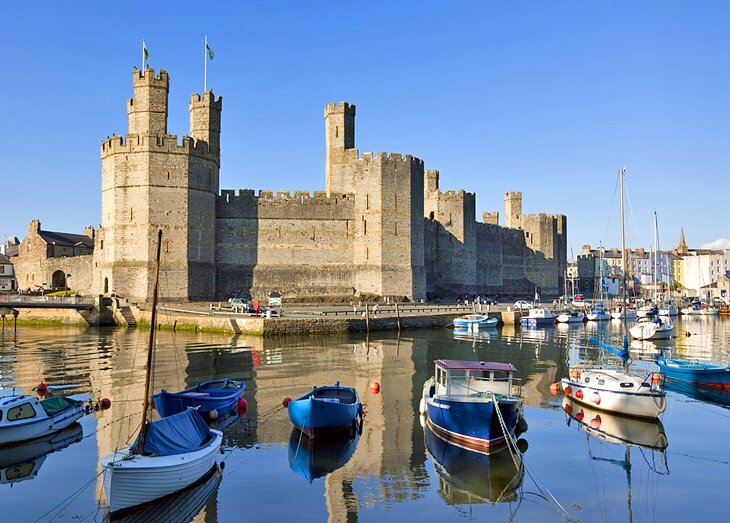 Here we reproduce a list of the 10 top-rated tourist attractions in Wales, put together by travel guide experts PlanetWare.com. Its author, Bryan Dearsley, describes the Welsh as “without doubt some of the most interesting, easy-going people you’ll find anywhere”. Think of Wales, and you’ll likely think of Snowdonia, the beautiful range of mountains and hills located in the county of Gwynedd. 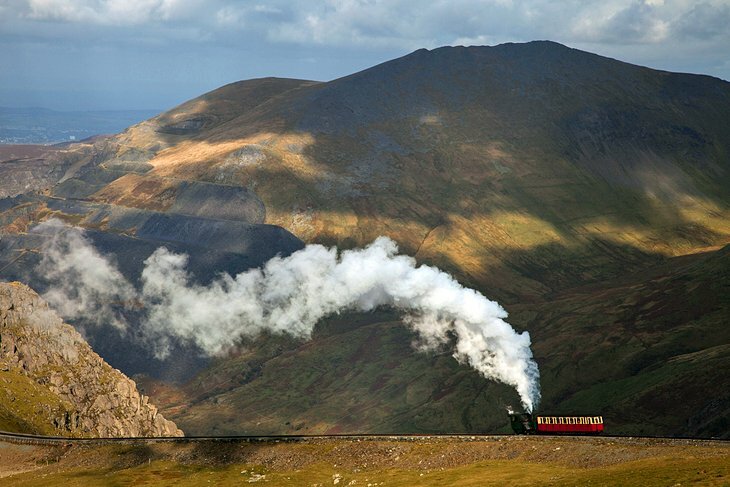 Consisting of 14 majestic peaks over 3,000 ft high – the most famous being the 3,546 ft Snowdon (the summit of which is accessible by train) – Snowdonia can be seen as far away as Porthmadog on the west coast. 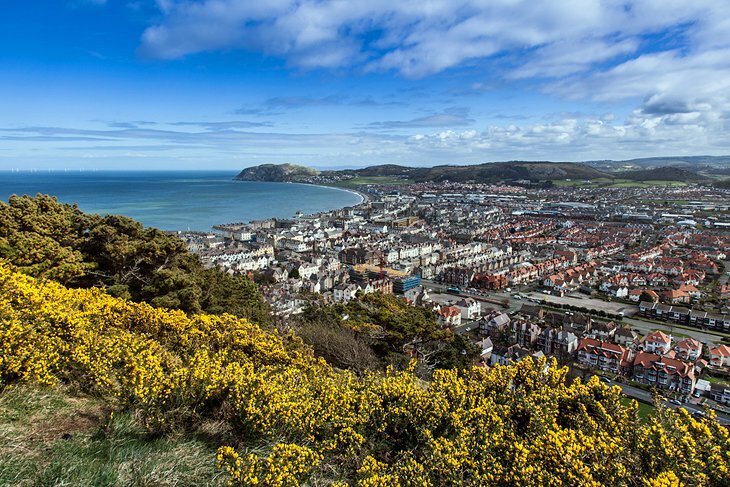 When you’re there, it’s easy to see why the area has featured so heavily in local legends, including those based around King Arthur, who locals will insist was Welsh. 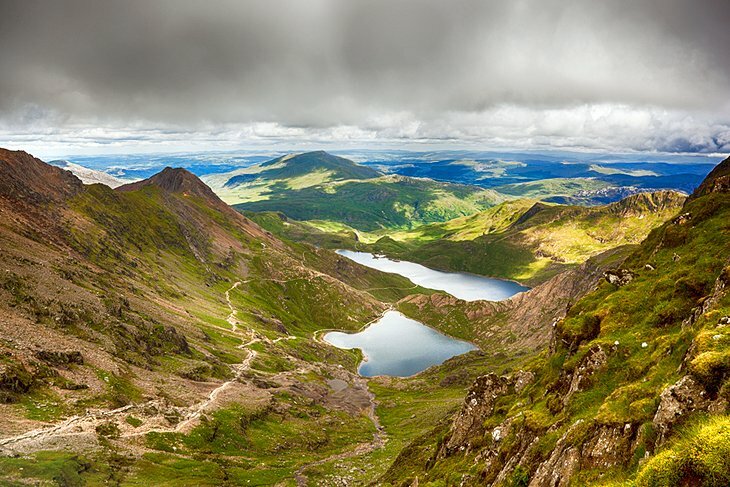 Snowdonia National Park is also one of the most popular hiking and climbing destinations in Britain, and extends from the coast all the way to Bala Lake. 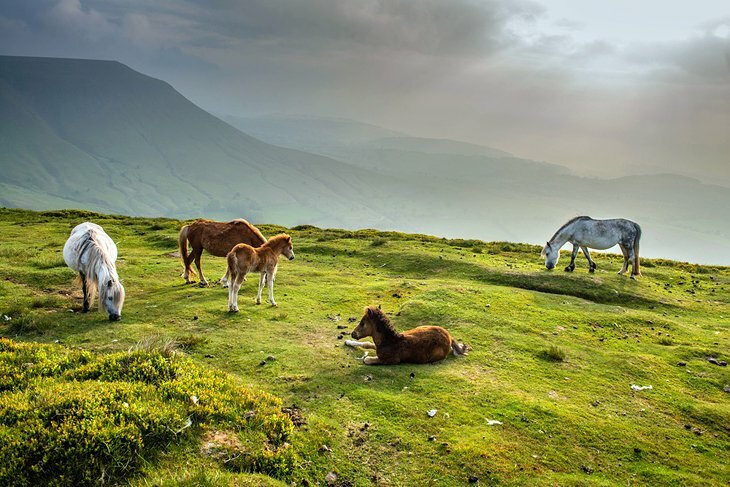 Brecon Beacons National Park encompasses one of the most beautiful parts of Wales. This hiker’s paradise is bordered by two quite different sets of Black Mountains. The first, to the west, is the source of the River Usk, while to the east is the range famous for its wild ponies. Most of the mountains in this 520 square mile park are higher than 1,000ft, many in excess of 2,000ft, and are named after the red sandstone that causes them to resemble the beacons of light once used to warn of invaders. 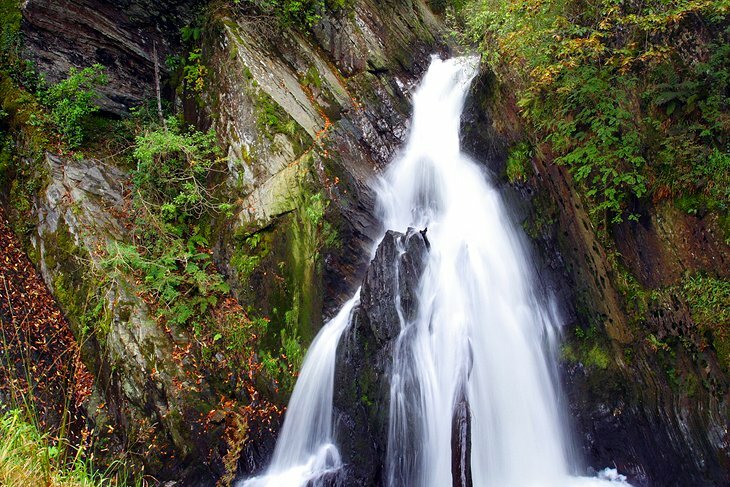 Be sure to explore the park’s many caves and waterfalls, the most famous being Henryd Falls at Coelbren. Portmeirion is a beautiful hotel resort and visitor attraction located on the coast of Snowdonia National Park in Gwynedd, North Wales. Built by Sir Cough Williams-Ellis between 1925-1975, this remarkable destination – designed to resemble a quaint Italian fishing village – is best visited as part of an overnight stay. After the gates close, guests get the whole place to themselves to explore further, from its beautiful gardens, fountains and church, to the coastal paths of the lower village. 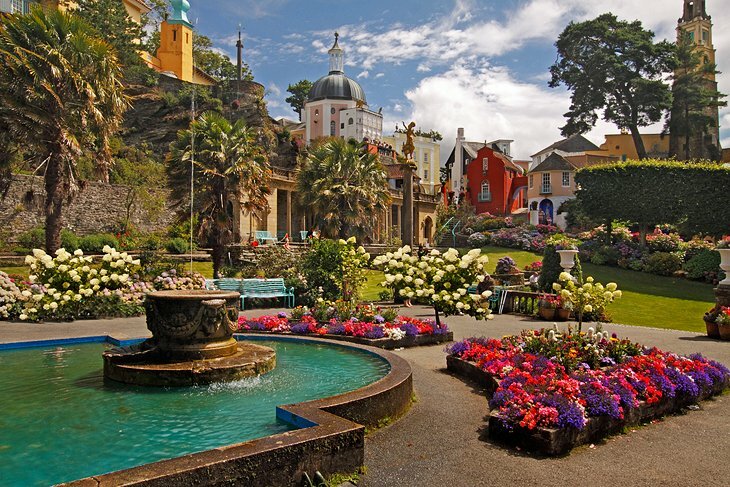 The location for numerous films and TV programs – including the 1960s cult show, The Prisoner – Portmeirion is a must-see for anyone planning a trip to Wales. Separated from mainland Wales by the mile-wide Menai Strait – spanned by the Menai Suspension Bridge (1818) – the Isle of Anglesey is home to a number of quaint small fishing villages sprinkled along its more than 100 miles of attractive coastline. 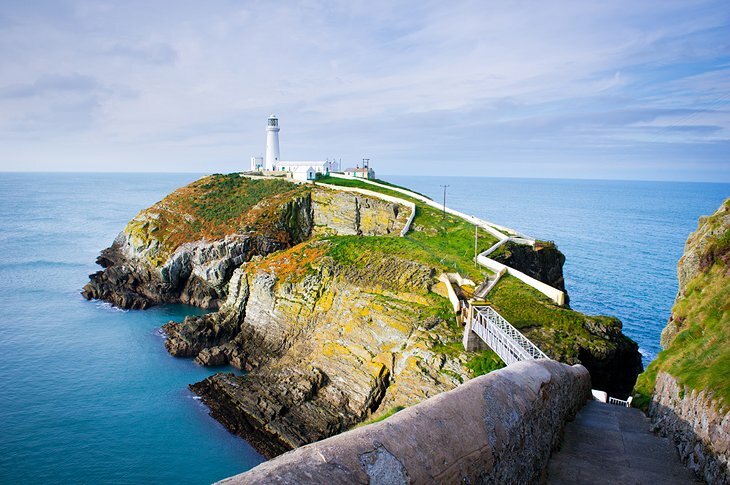 Along with its sandy beaches and landmarks such as South Stack Lighthouse, the island’s mild climate makes it popular for day-trippers and campers alike. The smaller Holy Island, linked to Anglesey by bridge, is a popular holiday resort with two promenades (one of them 1.5 miles-long), while tiny Salt Island offers great views and a chance for some bird watching. Finally, one of the world’s most famous photo ops is on the railway platforms of the town with the world’s longest place name: Llanfairpwllgwyngyllgogerychwyrndrobwllllandysiliogogogoch. 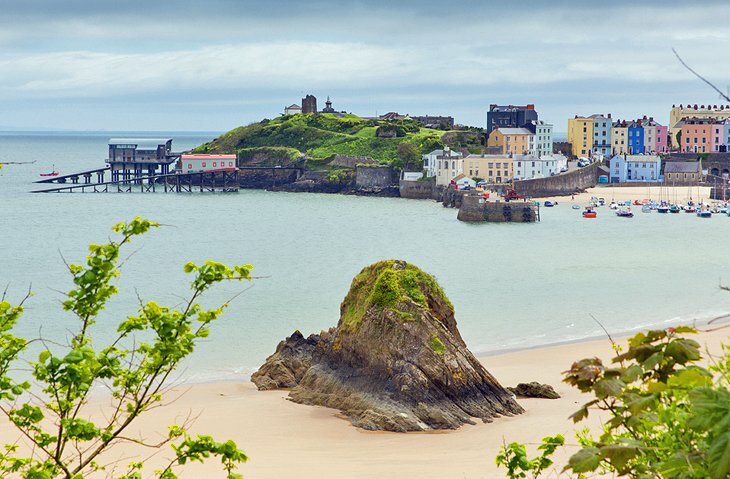 Surrounded by water on three sides, Wales has more than its fair share of dramatic coastline. Some of the most imposing is to be found along the coast of Pembrokeshire Peninsular, which juts out like an old man’s chin into the Irish Sea. 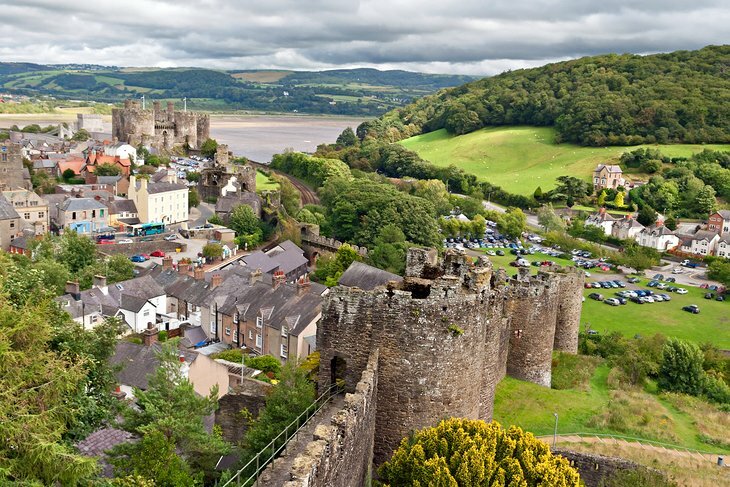 Whether on foot or by car, you’ll find everything here: historic castles and keeps (Pembroke Castle), cathedrals (St David’s in the town of the same name), and idyllic fishing harbors such as Laugharne, perhaps most famous as the place where Welsh poet Dylan Thomas lived for much of his life (his boathouse home above the bay is now a museum). As elsewhere in Wales, adventurous travellers can really get away from it all by staying in a variety of unique accommodations including classic old farm cottages, gypsy caravans, or vintage railcars. The Visit Wales website gives a month-by-month breakdown of some of the main events happening all over Wales. To find out what’s on, click here.